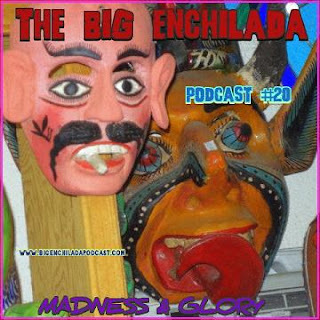 Madness & Glory is the name of this episode of The Big Enchilada. I'm going to subject you to about 40 minutes of musical madness from the likes of Pierced Arrows, The Reigning Sound, King Automatic, Sun Ra, Kim Fowley, Butterbeans & Susie and Rev. Beat-Man -- plus some great New Mexico bands like Gary Farmer & The Troublemakers and The Scrams. Then, for the conclusion, we switch to sweet gospel glory with The Persuasions, The Pilgrim Travelers, Luther Magby and more. It'll be good for your soul -- and maybe even your sanity.